New healthy food activity book for kids! Wouldn’t it be great if there was an activity book that helped kids eat healthy foods? Parenting can get so stressful. We want the best for our kids, but we can’t control everything we do. We can’t force feed them healthy food! Remember the old saying, you get more flies with honey than vinegar? When I do talks at parenting workshops and at schools, I always encourage people to add some fun to the dinner time! That’s why I created Fresh Fun Food Ideas for Kids! This new electronic activity book is designed to change dinnertime from a food fight into a fun event. There are lots of ways to make healthy eating fun. 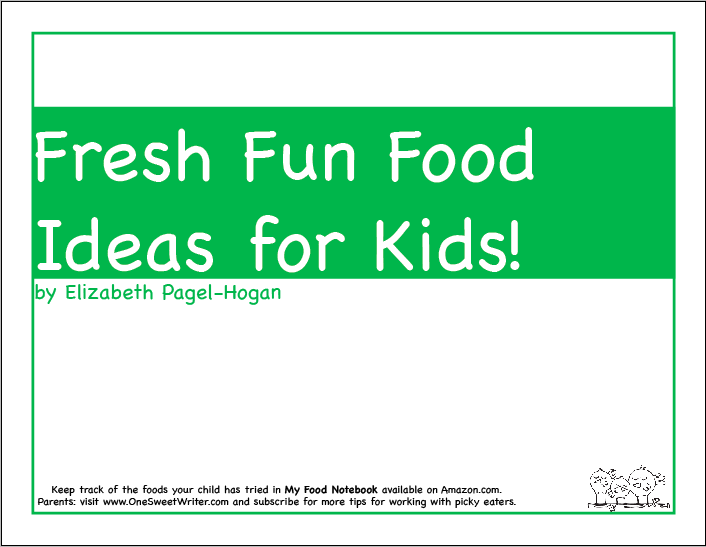 This new book that I’ve created makes it easy for parents to encourage their kids to try new foods in a friendly, not scary, way. In this activity book, I share some silly jokes, interesting facts, easy activities and even some of our favorite fresh food recipes. Fresh Fun Food Ideas for Kids is available as a pdf and includes six unique activities. Once you buy the activity book for only 5.99, you can print out as many sheets and copies as you need. Use the sheets and re-use the sheets. My kids have tried the jokes and challenges in this activity book and find them to be fun, too, but I’d love to hear what your kids think. Which are their favorites? Did they try a new food or devour their first Monster Salad? How do you make eating fresh food fun and healthy? 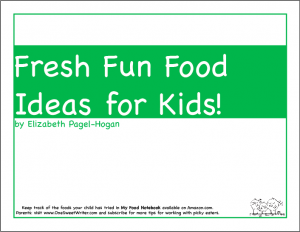 Share your ideas and they might end up in the second edition of Fresh Fun Food Ideas for Kids! What an amazing well-written post. 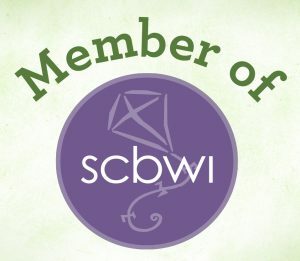 Thank you for sharing about new healthy food activity book for kids! I am always search your blog. Your blog inspire to me. My kids have tried the jokes and challenges in this activity book and find them to be fun, too. Thank you so much for sharing. Your blog is always so positive, I am surprised that you had any health issues and difficulties.